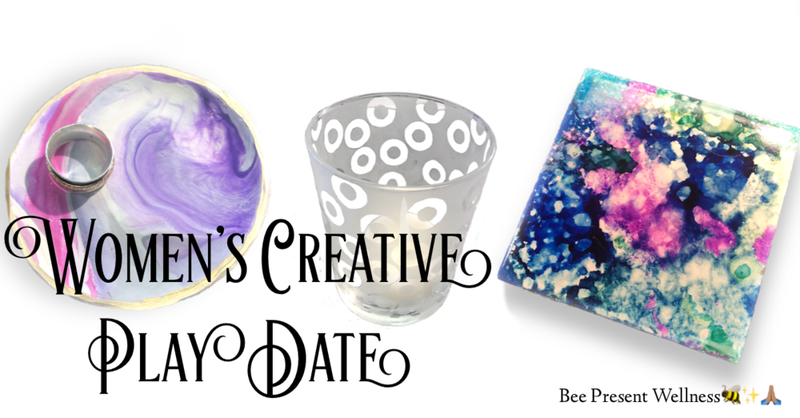 The November Women's Creative Play Date will bee to Make 3 gift-able crafts! Gather together with other local women for a creative play date! You will explore your own creativity in a safe place where the intentions are: to relax, invest time with other creative spirits, and play with different imaginative techniques. These events are not about the finished product as much as they are the experience. No special “skills” or “talents” are required to attend, just a willingness to be your-self, bee open minded, and bee ready to play. With each Women's Creative Play Date we will explore a different creative process, technique, or activity. We will also incorporate some mindfulness practices as we dip into our Creative Souls – this is meant to be a fun and relaxing event, NOT a stressful one. Investment: $25. Cash or check to Bee Present Wellness, 309 3rd St. New Cumberland PA 17070. We have a limit of 12 folks in this workshop. Jennifer Daggs brings with her a lifetime of creative exploration, and a finely honed willingness to play. While in middle and high school she participated in talented and gifted art programs, art camps and various workshops. Fifteen years ago she started working with stained glass; specializing in jewelry, sculpture and mobiles. She has given presentations on “tapping into our creative juices” and has taught classes and private lessons on stained glass techniques. She confesses to having “Crafters ADD” and loves to dabble with any number of art and craft mediums and techniques. She loves to play and get her hands dirty, and share that fun with others.